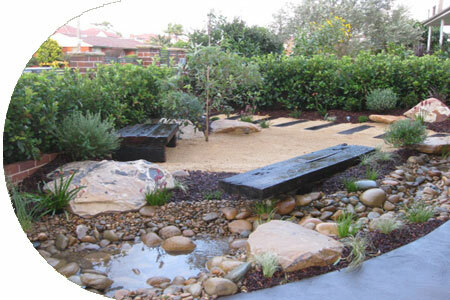 Peaceful Landscapes offers creative, beautiful landscape design and construction work. Specialising in unique designs using oriental design principles to create stunning gardens. Japanese Gardens, Balinese Gardens, Australian Native Gardens. Water Features. Milsons Point is a suburb on the lower north shore of Sydney and has a mixture of residential, high density residential and commercial developments with wonderful views over Sydney Harbour. Through the use of a unique landscape design philosophy, Peaceful Landscapes create soft, tranquil garden designs that leave a lasting effect. Landscaping & rejuvenation/ redesign of existing gardens. Garden renovations and new garden construction. Unique Landscape design milsons point North Shore services.